As 2018 comes to a close, the bids and appeals to their bases for the Democratic nomination to take on President Trump in 2020 have just begun. Major divisions exist in regards to the ideals and the future of the Democratic Party. Political progressive heavyweights such as Congresswoman-elect Alexandria Ocasio-Cortez and Sen. Elizabeth Warren (D-MA) are just a few of the leaders pulling the party further and further to the left. As of last night, Sen. Warren took a play out of Congresswoman-elect Alexandria Ocasio-Cortez's playbook by hosting an Instagram live while cooking dinner and speaking to supporters. 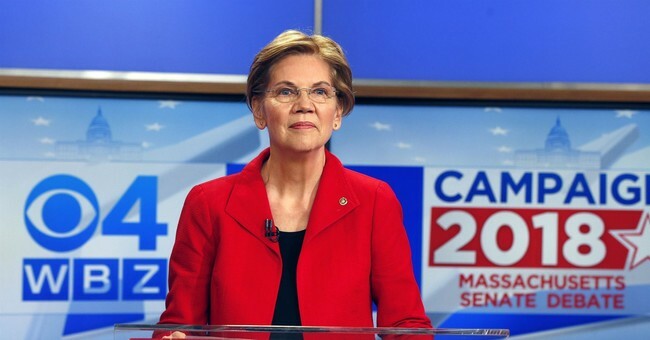 Warren has an extremely progressive set of policy stances, which in comparison is considerably further left of the platform in which Hilary Clinton ran on in 2016. Sen. Warren is attacking President Trump at every corner, in the hopes that it will lead her to win the party's nomination. Whereas Congressman John Delaney, who also hopes to secure the Democratic Party's nomination and take on Trump in 2020, is hedging his bets on not attacking Trump, but instead focusing on innovative new jobs for a 21st century economy. He is aiming to come off as a moderate to appeal to swing voters and to Democrats that voted for Trump in 2016. Will the Blue Dog Democrat survive amidst the Bernie Bros and Warren's Warriors? Probably not. Warren announced this morning her bid to take on President Trump in a 4-minute video that takes aim at Fox News by calling it an "echo-chamber of fear" while showing multiple clips of President Trump and administration officials throughout the video. John Delaney, a 3-term Congressman from Maryland, announced his bid for the White House back in July of 2017. With limited name ID, not appealing to the status quo of the Democratic Party, and not being in line with a far left-wing agenda; Delaney is destined not to obtain the Democratic Party's nomination, let alone the support of needed Super PACs and donors. In Congressman Delaney's presidential ad, he never mentions the name that most Democratic Party 2020 hopefuls have been aggressively saying: Donald Trump. Congressman John K. Delaney announces intentions to run for president in 2020. Delaney is the first Democrat to formally enter the race. The conservative America Rising PAC had a one-word response to the announcement from Congressman Delaney on running for president in a press release: "Who?" Delaney, in a Fox News interview in August, said, "I think the approach to the Democratic Party should be to fight President Trump when he's doing something bad and against our values, but we also need to tell the country what we stand for." The congressman, who bills himself a "Progressive Businessman," is conservative on the fiscal issues and liberal or progressive on social causes. It appears the congressman has alienated his key voters before even starting. Capitalism and free trade ideals are the enemies of the left. Yet, Delaney pledged to be in support of those conservative ideals. Let The Race for The White House in 2020 Begin!